Inspiring content always gets the best of me. I spend my days watching Ted Talks and inspiring YouTube videos. Sometimes you need a helpful video or two to get you through and remind you that you're doing your best. Today I'm going to share with you some of my favorite Ted Talks. They'll help to inspire you and boost your confidence along the way. Are you ready for everything these talks have in store for you? Read on to learn more and let me know what you think in the comments. 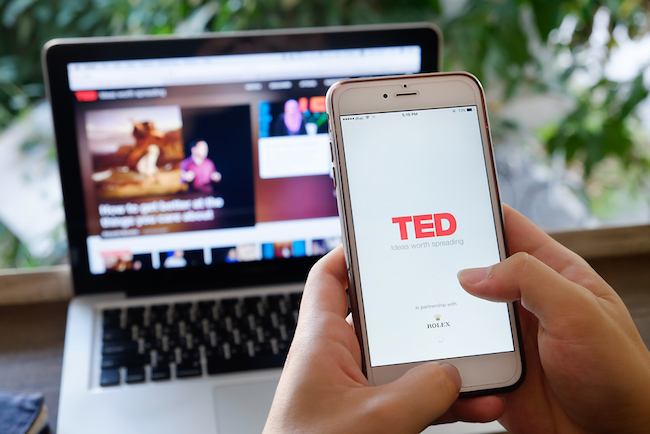 What's your favorite Ted Talk? Why you will fail to have a great career | Larry Smith | TEDxUW- Go after your passion. Stop being afraid. Larry Smith reminds us that those that go after what they want can get to where they want to be. We're all using excuses. Stop! You have to be a little obsessed and seriously passionate to follow your bliss. There's a reason this is one of the best Ted Talks of all time. Powerful stuff. My stroke of insight | Jill Bolte Taylor- Ready to be inspired? Jill Bolte Taylor became a scientist to understand her brother's schizophrenia but ended up learning more about herself after a stroke. She believes that we can all be the life force of the universe at any time. Learn about her story and her ideas on "flow" below. The power of vulnerability | Brené Brown- Who knew there was power in vulnerability? I believe in honesty so this Ted Talk speaks to me. It's all about confronting your feelings and having the courage, to be honest with yourself and others. Can you learn to be comfortable with discomfort? Do you believe you're worthy?